At AppSumo, we have one goal: to help hustlers grow. So over the past seven years, we’ve worked tirelessly to bring Sumo-lings the dopest deals and turn startups into household names. However, our success has not gone unnoticed, and Sumo-lings are asking questions. To answer these questions, Sumo, our parent company, decided to do a mega in-depth growth study. And boy was it invasive! 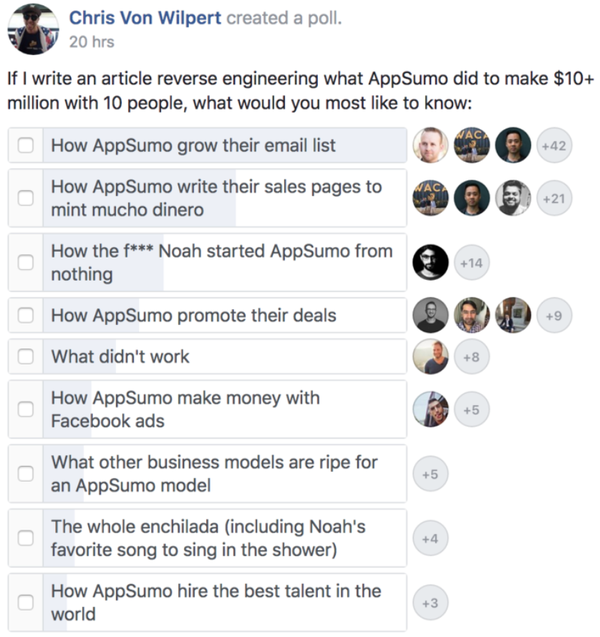 The Sumo team’s growth experts knew all of the right, hard-hitting questions to ask. 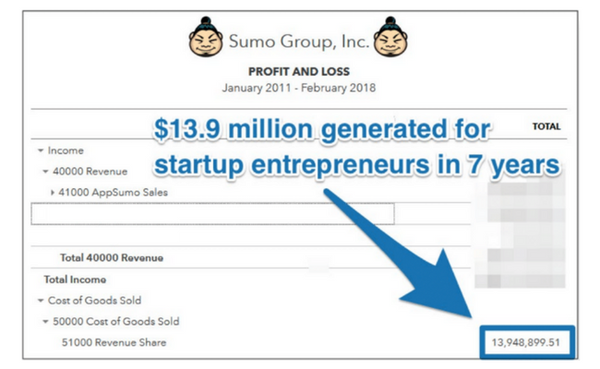 After all, Sumo’s tools have helped 700,000+ sites grow their business and get more customers — we even use their tools ourselves. 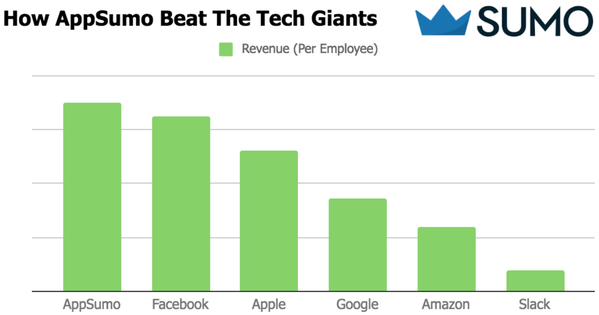 Beautiful graph.In addition, we’ve shared over $13.9 million of it with entrepreneurs all over the world. Because of how vital Sumo-lings have been to our success, we’ve decided to give you a look behind our kimono. 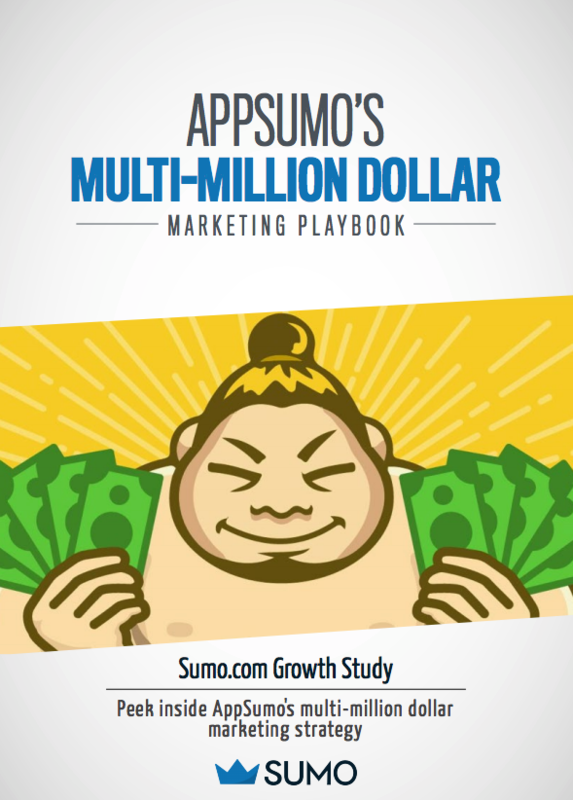 So, for a limited time, you’ll have access to AppSumo’s Multi-Million Dollar Marketing Playbook! Yes! We are giving it to you for FREE! When Zuckerberg and Bezos hear about the data we’re sharing with you, they’re gonna be sprinting down from their ivory towers, trying to get their hands on it. 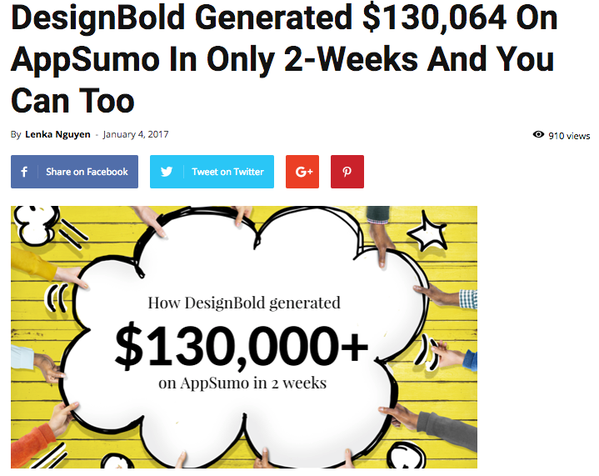 Learn how AppSumo grew to 8-figures! Now, this growth study isn’t going to tell you things you already knew like post on social media every day, make business cards, or keep a positive outlook. Instead, this study has actionable nuggets that you’ll actually want to learn. How do we know? We ran a poll to see which proven tips and step-by-step strategies you were interested in. And, Sumo-lings, you’re gonna get it all! There’s a ton more in this epic growth study. We could easily charge $49 for this. But Sumo-lings always get the hookup. Which is why you can snag this growth study for FREE for a limited time. Nowhere else on the web will you find a company willing to give you an 8-figure blueprint and behind-the-scenes video footage for free! Click here to learn what it takes to grow a business!